In 1876, rail travel was in its infancy in Europe. Long journeys and international travels were anything but a nightmare. Trains could not cross borders and passenger coach were most unconfortable. Success was immediate and soon there were 58 sleeping coaches showing the latest innovations in confort. 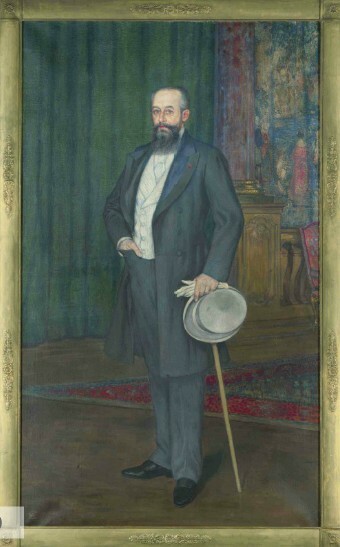 In order to accelerate the development of his company, he raised more capital and welcomed king Leopold of Belgium as one of his first shareholders. While CIWL quickly became one of the most important travel empire in the world, stretching all over Europe to Asia and Africa with tens of thousands of employees across the world, CIWL always kept its Belgian roots even after its headquarters moved to Paris. In order to capitalize on the international reputation of its famous luxury trains such as the Orient Express,all CIWL coaches would bear the golden crown with 2 lions, reminding the heraldic symbol of the Belgian royal family. From 1876 on, CIWL recognizable luxury coaches would multiply all over Europe, with sleeping car (Wagons-Lits), restautant cars or salon-pullman cars, transforming international travels into a unique and enjoyable experience. The Orient-Express, inaugurated in 1883, was the first to cross the borders of central Europe with a journey of more than 3 000 km. The Orient-Express and other CIWL international trains have always played a central role in international diplomacy and in the relations between European capitals. In spite of the chaos caused by world war I, Compagnie Internationale des Wagons-Lits soon reemerged after 1918 and accelerated its international development. Always at the front edge of innovation, CIWL introduced as soon as 1922 its first metal car, with the reknown blue and gold color, which surpassed anything else in confort and luxury. 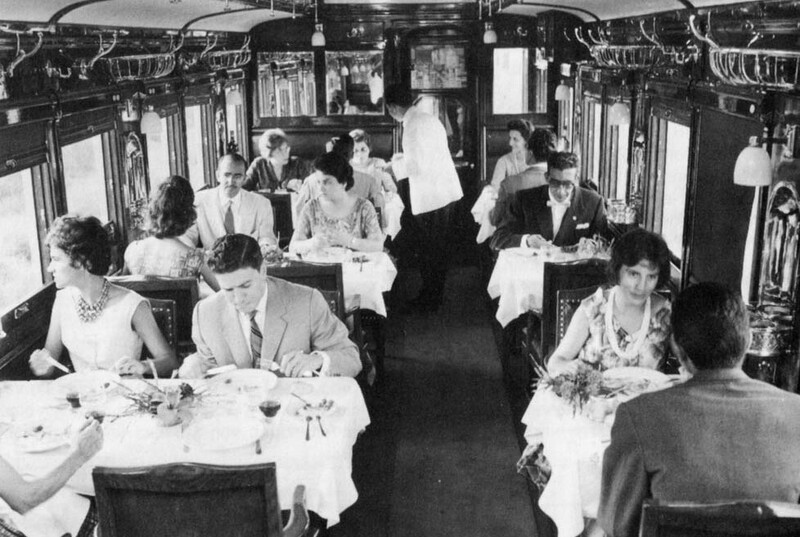 In 1926, CIWL introduced its first Pullman salon cars, which completed the existing sleepings and restaurant rolling stock. In 1939, Compagnie des Wagons-Lits owned a rolling stock of 806 sleeping cars (wagons-lits), 661 restaurant cars, 133 Pullman salon cars and 138 bagage cars, representing 1738 wagons in circulation all over 24 countries in Europe, North Africa, Egypt, Turkey, Syria and Palestine. During world war II, Compagnie des Wagons-Lits suffered more damages and destruction than during WW I. Despite the loss of more than 400 cars destroyed, damaged or disappeared, CIWL managed to relaunch all its services as soon as 1945. After the closure of borders behind the iron curtain imposed by the Soviets, CIWL trains managed to cirvumvent the communist bloc thanks to its new southern routes through central Europe to Istanbul. Their names became legendary such as « Orient-Express », « Arlberg-Orient-Express », « Simplon-Orient-Express ». 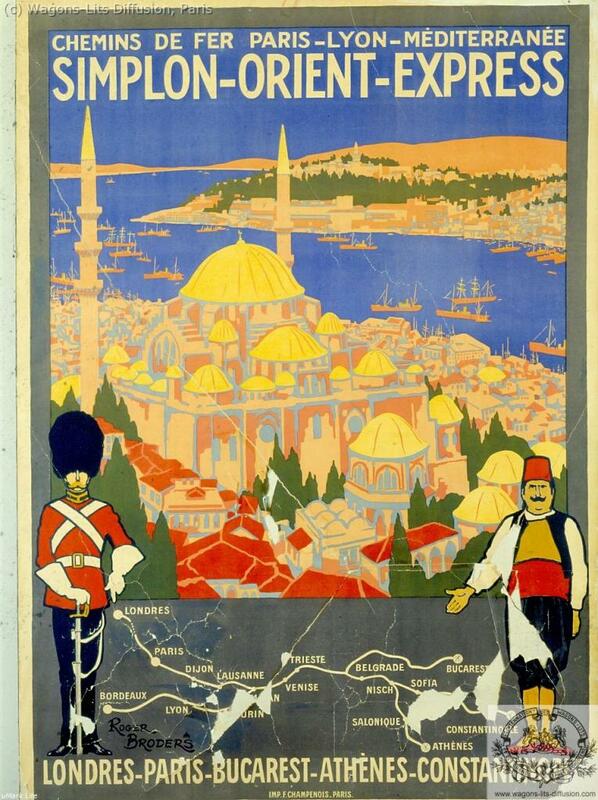 These international trains were composed of sleeping and restaurant cars, blue and gold with the golden crown with 2 lions, linking the western capitals to Vienna, Budapest, Bucarest on one hand, and to Belgrade, Sofia, Athens and Istanbul through the Simplon tunnel. Then services were extended on the « Nord-Express » going further North, up to Stockholm and Oslo. In Africa, on top of regular CIWL lines in Algeria and Tunisia, new CIWL services were inaugurated in Senegal, Ivory Coast, Dahomey and Cameroon. See how difficult the world is today, and just try to imagine the state of the art organization developped by CIWL in order to run this in a coordinated and profitable way. The following figures show the vitality and optimism of CIWL during such a challenging time. In 1959, totally renovated rolling stock of CIWL was composed of 775 sleeping cars, 328 restaurant cars, 61 Pullman cars and 31 luggage wagons, for a total of 1 195 wagons. With a less important rolling stock than in 1939, but more modern wagons full of the latest innovations, CIWL transported 2 172 000 passengers in 1959, against 1 350 000 in 1939. 5 millions meals were served in 1959, compared to 3 millions in 1939. From the 60s onward, a new important source of traffic came from the tourists going to the winter ski resorts of the Alps, which became as important as the summer transportations. These trains services developped by CIWL were soon completed with new innovations such as Auto-trains and vente ambulante. Naturally, CIWL started to develop into hotels which would welcome luxury passengers at every destination of its luxury trains. Among the most famous hotels were the Pera Palace, the Winter Palace or the Old Cataract in Egypt. The hotel division of CIWL numbered more than 350 hotels in 1992, when Accor merged with CIWLT. In 1960, Wagons-Lits Travel disposed of more than 200 agencies in Europe, in America and in Asia. If you add to this the Thomas Cook and Sons Ltd, it represents more than 400 agencies and complete global network. (*) In 2010, after mergers,acquisitions and a change of name, Carlson Wagonlit Travel is still the world leader in business travel agencies. CIWL's operations stretched all over Europe, as far as Siberia, Mandchouria, China, Iran and Africa. But CIWL remained a very centralized organization. The headquarters and its entrepreneurial management would decide of everything from the global strategy, to the design of all details and every object on board every single coach. For practical reasons, the headquarters were soon transfered to Paris, but the official headquarters, will always remain in Brussels. Until the creation of the Euro (currency), all accounts were made in Belgian francs. This flexible and efficient organization allowed CIWL to survive and thrive through Two world wars. Each time, a re-born and stronger CIWL as ever. Apart from excellence in luxury rail transportation, Compagnie des Wagons-Lits was a pioneer in its vision of European unity, thanks to the remarkable international integration of its vast European organization. As early as the beginning of the XXth century, CIWL has been efficiently organized by its truly European 'Modus Vivendi'. A modern inspiration for today's European politicians. CIWL on-board personnel, organized as articulated train brigades, have always been praised for their professionalism: from the 'chef de train' (train manager) to Sleeping-cars conductors, restaurant waiters, cooks or luggage carriers. Theses on-board brigades were supported by an efficient network of local bases, reaching as far as the Middle East and Eastern Siberia. Always ready to serve, servicing up to 4 lunches or dinners in the same Restaurant Car, arranging all details despite unconfortable conditions and lack of space. Many novelists and other famous travellers praised CIWL agents, such as Valery Larbaud with his then famous 'Poetry of A.O. Bamabooth' in 1913. Not to mention Agatha Christie in several of her most famous books featuring Hercule Poirot. 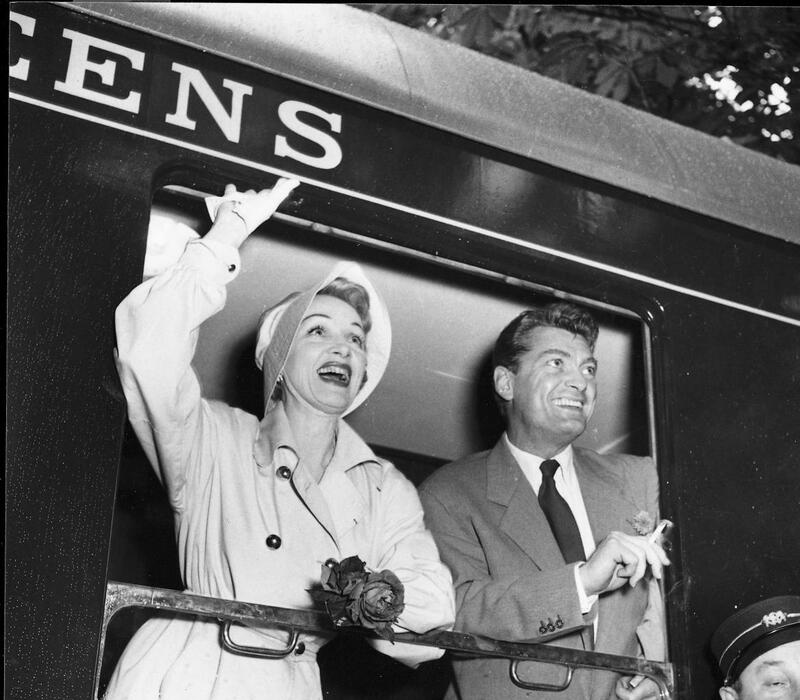 The 60's marked the end of international development of CIWL's luxury train activities. Mythical Grands Express slowly disappeared from headlines, which CIWL planners had anticipated long before it occured. Except for important contracts for on-board Hi-Speed trains (TGV) catering, CIWL turned to other activities such as Travel Agencies, Tourism, Hotels or International catering. As an illustration of this strategic ambition, CIWL became CIWLT, adding the word Tourism to its denomination. To be sure, CIWLT directors early on identified a series of hi-growth activities in line with the booming European post-war economies. It is remarkable to notice that, applying the same strategic vision that allowed CIWL to expand its luxury trains worldwide, CIWLT's new divisions soon became European leaders in each of their fields. And still remain today, although bearing other famous names. This was made possible through massive investments that CIWLT shareholders accepted to make, following CIWLT's inspired directors. -1) Hotels and Hospitality, a sector where CIWLT (with such hotels brands as Pullman, Altea, Arcade), became one of the European leaders in the early 1980's, with more than 350 hotels, today merged to form the ACCOR group, World leader in hospitality. -2) Catering and collective restaurants, with the creation of the Eurest Group, a JV with Nestlé, which became co-leader in Europe and CIWLT's most important division, with more than 50 000 persons, until it was merged in the Compass group, world leader in catering. -3) Concession and Contractual Catering, with motorway restaurants and public locations under management contracts (museums, malls, train stations, exhibition centers). This activity is still today the core of Elior, a European giant and leader in Concession catering. -5) Europcar, European in car rental, which CIWLT acquired with Wolkswagen in the 1970's and subsequently developped to become one of the Big Three in Car rental with Avis and Hertz. Europcar was divested in the early 1990. -6) On-Board Rail Services, historical activity of CIWL, culminated in the 1980's with more than 10 000 agents in Europe. This division was sold in 2009 to Newrest. In 1990, CIWLT had become one of the most important and diversified groups in Tourism and Hospitality in Europe, present on 5 continents with more than 70 000 people. In 1991, ACCOR launched an homeric TakeOver in Paris and Brussel Stock Exchanges, attracted by CIWLT's unique hotel network, while SODEXHO tried to absorb EUREST. Since 1991, when CIWLT holding became a 100% ACCOR Subsidiary, all divisions were either integrated in the Hotels Divisions of ACCOR, or divested to specialized international groups, as mentioned above. All Intellectual Properties (Registered Brands, Logos, Historical Archives) derived from CIWL's glorious pasts were transfered in 1996 to WAGONS-LITS DIFFUSION, a special purpose company whose mission is to defend and develop these unique Intellectual Properties through partnerships or licensing contracts. CIWL remains today a mythical company for the public, still remembered through its famoux trains such as the Orient Express or the Blue Train. Its famous golden logo with Two Lions, still evoques this great adventure to the international public. Georges Nagelmackers' vision is still alive.